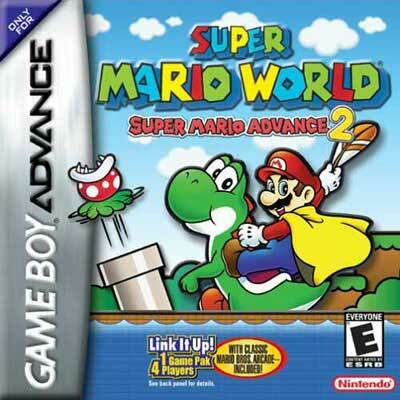 Super Mario World - Super Mario Advance 2 GBA Game Boy Advance Game Cartridge Cleaned Tested and Guaranteed to Work! Ordered this last week along with several other games. They all worked like new and everything was in stellar condition! Definitely love having all of my favorite old games and devices again! All of my items arrived a day early. I will definitely be purchasing other stuff from here in the future! I got this game way fast now I’m completely hooked with my game .Thanks Lukie’s Games will buy more in the very near future. Game in good shape. However, the Game Boy Advance system I also purchased from Lukie Games, even though it was in great shape, the quality of the lighting is very poor. When I was little my brothers and I played this game until we wore the cartridge out. Years later, this store has allowed me to relive that happiness. Works perfectly so far (up to world 4). I love all Super Mario games, and surely I cannot miss this one! This game is great. It is basically a direct port from the original, but has some extra features. Such as having Luigi as a playable character with his very own abilities, voices added when Mario gets power ups, and a minigame of the original Mario Bros. All in all, it's a great game and I recommend it to anyone who has ever played the original for the SNES, or is a Mario fan. THE GAME IS PERFECT. HAVE SPENT MANY HOURS PLAYING. PLAYED WITH MY KIDS WHEN THEY WERE YOUNG SO IT BRINGS BACK A TIME GONE BY. I got this game for my son and his grades went up! This game is fun, and it was rewarding! Mario games always are fun and help keep kids away from violent and mindless games. Favorite Nintendo game growing up glad lukie games could bring it back for me to enjoy again!!! I have always considerd Super Mario World to be the best game for the Super Nintendo. This port is a little different but not by much. You can play as Luigi in this version and the gameplay is great. My older daughter has a couple of Mario games on her DS and I have found her playing on her younger brothers game boy just so she can play this game. A Good remake of a classic game!! I used to own this game for Super Nintendo, actually two copies and they got lost somewhere along the line. This is a good remake of a classic game. Super Mario World was one of the best games made for Super Nintendo. There are all kinds of great courses and you can do all kinds of crazy things.